Aww, you are so sweet! I was just letting Viki know so they can keep the most updated sub. @deadliftdiva_548 Unfortunately the availability of Warrior Baek Dong-soo has changed. 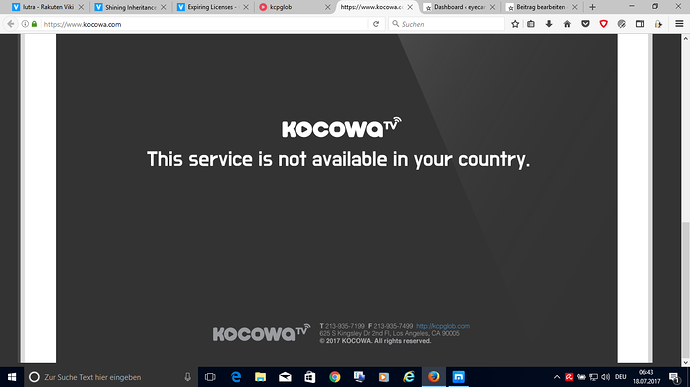 It's no longer available in my region (USA). I did see Painter of the Wind and thought it was wonderful. I thank you for the 'heads up'. I am so disappointed I want to cancel my Viki Pass subscription. I know it sounds petty but I don't understand how so many of my favorite dramas have become unavailable practically overnight. Sad. To add, I don't hate Viki or anything. In fact, I feel so sad because of how much I love Viki. There is simply no other service out there like this where I can enjoy dramas with a group of people online through the timed-comments. Also, the subs here are just top notch and feel so much more authentic than any other site. I don't think a competitor will come close. They are chargin $6.99 per month and who knows how good the subs will be. Please don't blame viki or get angry at them when it's out of their hands. This is something that is also happening to legal streaming juggernaut, NETFLIX. American TV networks and Movie Studios are creating their own streaming services now that they see how popular they are and yanking their shows off Netflix. It's always a risk or potential development when it comes to streaming sites. 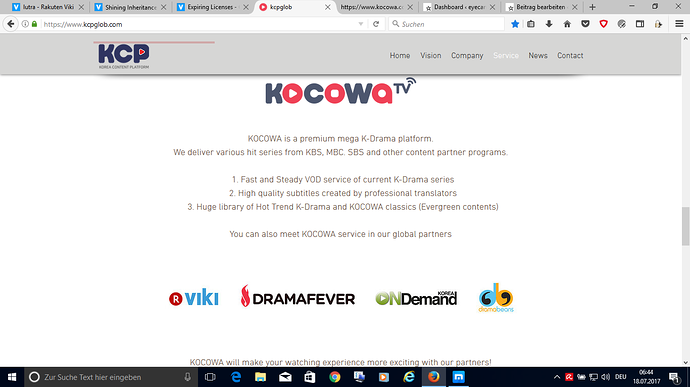 I have a feeling Dramafever is experiencing or will experience this soon enough too. I am not angry with Viki exactly. I just wish they would have let us know what was going on instead of letting these licenses drop like flies. Some transparent warning so at least we could prepare ourselves. Oh yeah, I agree they should have been more transparent about losing their licenses unless they literally just found out right before they were removed (which I doubt but you never know). At the same time, even if they let us know ahead of time, people would still be upset that they were removing these shows when it's something that cannot be helped with networks creating their own streaming platforms these days. I understand why people are upset though but I just wanted to provide some more context so people could get a clearer picture of what is going on behind the scenes. Obviously for those people other countries and other languages just don't exist. And then they'll come out crying like toddlers that those bad torrents stole their toys. No, IDIOTS, you only pander to your limited favorites and ignore the rest of the market. I will enjoy laughing when this fails SO MUCH. I just wonder! No, they don't expire! I think The 3rd Hospital has lost license in the U.S. Months ago I am able to find it but not anymore! I am reminded of an old German folk song "MaikÃ¤fer flieg"
So Kocowa is working WITH viki? And what is viki saying TODAY? This summer, Viki is offering FREE titles to heat up your K-Drama binge list. I have no more words, or I am just tired, I am reminded of my "viki-meltdown" 4 years ago, when I just took a break for several months ... maybe I should just do my 500 subtitles and leave it be for the moment. Limited to KBS, MBC, SBS content. Has mobile/tablet app and an internet version (which seems to need some engineering work). Has monthly and yearly subscriptions, and I think a type of VOD feature. The service will deliver a large collection of premium K-Drama content from the top Korean broadcasters KBS, MBC, SBS and other content partners to users worldwide. The Kocowa platform is a full-featured OTT service that leverages the entire Kaltura TV Platform, and provides users with a viewing experience on any device. The name Kocowas stands for Korean Content Wave. â€œAsia Pacific and specifically Korea is a huge growth area for Kaltura across all of our solutions and industries,â€� commented Ron Yekutiel, Kaltura co-founder, chairman and CEO. KCP is a joint venture of three major broadcasters in Korea looking to provide a next generation TV experience to users worldwide. KCPâ€™s service is the first â€˜Platform in Platformâ€™ (PIP) OTT service. The PIP model allows KCP to bypass the more traditional distribution model, and instead provide virtual access to its content for other OTT service partners. DF is indeed claiming they have content for Europe and more then once they tried to lure me into buying their premium service so I could watch the latest Kdrama. It so feels like scamming and I hope nobody outside the US fel for it. It makes me so angry that other legal companies want to control what I watch and don't watch and by doing so ruining my hobby. Four...titles to binge watch. (staring in disbelief). Well. Thanks to the overlords....yeah...I have so far "VIKI STAFF PICKED 4 classic K dramas to binge watch". Because they're removing them, and it's one last look at some of my drama friends. Some of my reviews are on those pages...and...yeah. I still can't believe WBDS is on this list for demolition. Yeah back to watching the Great Doctor. Title ONE on my "viki staff selected classic K Drama BINGE WATCH".